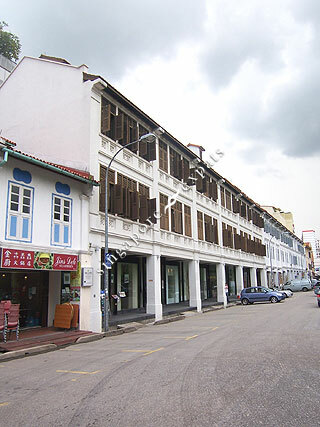 TAN QUEE LAN SUITES is located at 9 TAN QUEE LAN STREET in district 07 (Beach Road, Bugis, Rochor) of Singapore. TAN QUEE LAN SUITES is a 999-year Leasehold Condo development consisting of 30 units. TAN QUEE LAN SUITES is completed / TOP in 2006 (estimated), developed by DAWNATRON PTE LTD.
Educational institutions like JEWELLERY DESIGN & MANAGEMENT INTERNATIONAL SCHOOL, INSWORLD INSTITUTE, CHATSWORTH INTERNATIONAL SCHOOL (ORCHARD), STAMFORD PRIMARY SCHOOL, ST. MARGARET'S PRIMARY SCHOOL and FARRER PARK PRIMARY SCHOOL are near to TAN QUEE LAN SUITES. TAN QUEE LAN SUITES is accessible via nearby BUGIS, ESPLANADE and NICOLL HIGHWAY MRT Stations.